Properties in Maryland average 4.5 out of 5 stars. Property 1: Cozy Cumberland Mountain Cabin! Vintage Waterfront Cottage with Fishing Pier on the Chesapeake Bay. Property 2: Vintage Waterfront Cottage with Fishing Pier on the Chesapeake Bay. 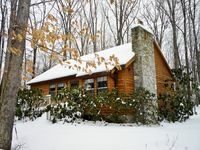 Property 4: Cozy woodland cabin w/ deck - close to the lake, golf, trails, and ski slopes! Summerlee Cottage - Renovated; Direct acceds to private sandy beach. Property 10: Summerlee Cottage - Renovated; Direct acceds to private sandy beach. Pet Friendly - Close to Berlin, Assateague Island Parks and Ocean City Beaches. Property 18: Pet Friendly - Close to Berlin, Assateague Island Parks and Ocean City Beaches. Culag-The Wee One - Classic Chesapeake Bay Cottage! 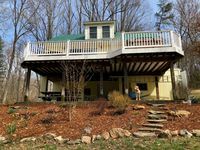 Property 27: Culag-The Wee One - Classic Chesapeake Bay Cottage! Property 28: Three Bedroom Cabin On Wooded Lot Near Lake. Secluded, Family And Pet Friendly. Property 30: Lakefront home w/ private dock, hot tub, gazebo & incredible lake/ski views! Property 31: Fully remodel 2 bedroom country cottage with views of Dogwood harbor. Property 32: St. Leonard Cottage w/Pool Overlooking Wells Cove! Property 33: Chesapeake Bay Beach Cottage - The Sweet Spot on the Bay! Property 40: Deep Creek Lake State Park is steps away! Property 41: Beautiful, Charming Lakefront Cabin With Stunning Views, Private Dock, Kayaks. Property 48: Beckman Peninsula Spectacular Location! Adorable home. Perfect for family getaway.